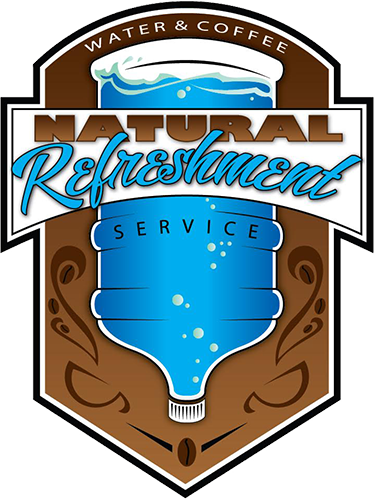 Natural Refreshment Service distributes several brands of water that includes spring, distilled and drinking water. Along with home and office water delivery, we offer a full line of coffee and break room supplies. Below is a short description of our most popular water and coffee products. There are also links available to learn more about each product and why we only distribute premium water and world class coffee. Every drop of Mountain Valley comes from a single, natural spring source that originates deep within the earth’s surface. The spring is located within 633 acres of protected, company-owned land approximately 12 miles from Hot Springs National Park, Arkansas. Mountain Valley is bottled at the spring site. 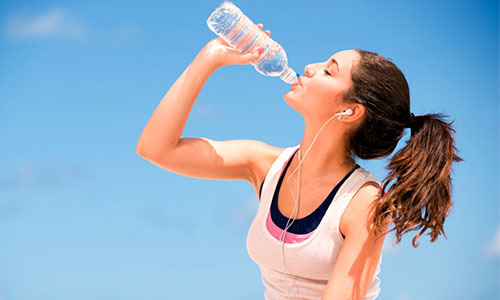 Alkaline water has a pH of more the 7.0, while water with a pH of less than 7.0 is considered acidic. Mountain Valley Spring Water, with a pH in the range of 8.3, is moderately alkaline. 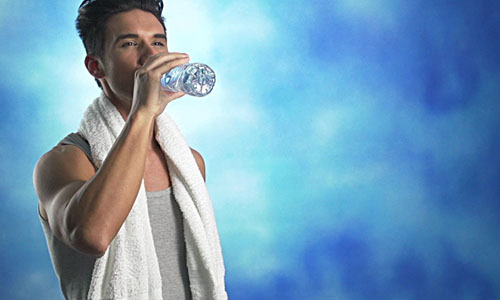 Acidic elements in water – such as chlorine, sulphates, and nitrates lower its pH and its health benefits. Our blood’s pH is a narrow range of 7.30 – 7.45; the higher your blood’s pH, the more oxygen it contains. Drinking alkaline water like Mountain Valley Spring Water helps you keep enough healthy oxygen available to your blood cells. 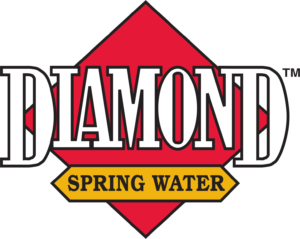 Diamond Spring Water is bottled by Mountain Valley Spring Company in Hot Springs Arkansas. The spring is “over the hill” from the Mountain Valley Spring site and bottling facility. As the aquifer and spring for Diamond are different than Mountain Valley, it does have a different mineral analysis. Since Mountain Valley and Diamond have similar geological characteristics in the region, the minerals are similar. Diamond has minerals including calcium and magnesium, which are common with Mountain Valley, in slightly lower quantities. As the Diamond spring source is connected to the bottling facility by a contiguous stainless steel pipe, it is “bottled” at the site. 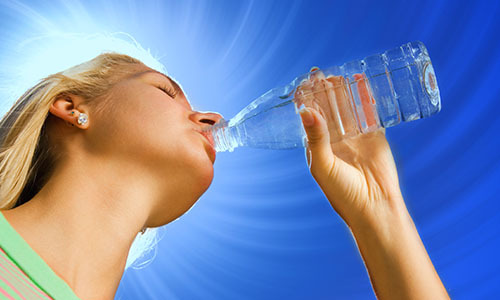 Distilled water is water that has had many of its impurities removed through distillation. Distillation involves boiling the water and then condensing the steam into a clean container. Ozarka Spring water is bottled in the Lone Star State and is sourced from only carefully selected natural springs in Texas. Its Natural mineral content provides a taste and quality that’s thrived since 1905. Nestle Water starts with the careful collection of water, either from a spring, well or municipal supply. Purifying our water is an intensive, multi-step process. When necessary, it begins with carbon filtration to remove chlorine, which typically impacts the taste of water, and organic chemicals such as THMs (Trihalomethanes). We then remove minerals through distillation, a process that boils water and collects the condensation, or reverse osmosis, a water purification technology that uses a semi-permeable membrane. After carefully storing and monitoring the water, it’s time to enhance the water with select minerals for taste. 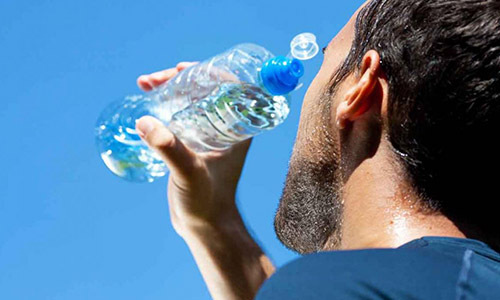 Minerals can greatly affect the taste of water, and at Nestlé® Pure Life® we’ve taken the time to find the right balance of minerals that our customers prefer most. This unique balance of high purity minerals gives our water its refreshing, smooth taste. 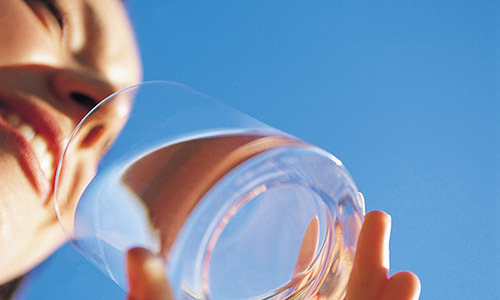 All of our processes to filter and purify our water are monitored and tested frequently giving Nestle Pure Life a drinking water everyone has loved for years. Since 2001, Green Mountain Coffee has become one of the leading roasters of Fair Trade Coffee. At Green Mountain, a good quality coffee just isn’t good enough. Green Mountain travels the globe looking for the finest beans and tastes them at the source to ensure they meet the finest standards. No matter how coffee inspires you, Green Mountain Coffee has the perfect varieties to satisfy your every taste every time. 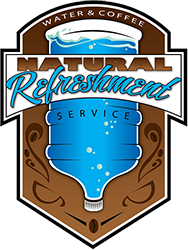 Natural Refreshment Service brings Green Mountain K-cups to your door step or in your office to ensure you have the best coffee any time of day. Martinson Coffee Company was founded in 1898 by Joe Martinson. Nobody knows the coffee business quite like Joe. He built his success by providing hotel guests with freshly brewed coffee every morning. Since then, Martinson brand coffee has grown and become one of the top coffee and K-cup producers in America. Martinson Coffee offers a long list of Gourmet coffees that include flavored, decafs and regular coffees that meet every ones needs. Today, we service operations ranging from restaurants to c-stores to home and office delivery.